Where do our warriors go, when the war is finally over? The alien invaders have won. By using the serotonin paths in the brain, they are able to read our thoughts and kept one step ahead of our best military personnel. There seemed to be no way to win, as the 'human population' counter slowly ticked towards zero. Where traditional arms have failed, a genius geneticist steps in. By radically changing the structure of both the brain and the body, she is able to create the perfect warrior for the fight against the Luyten. Fifteen feet tall. Tripedal for added speed and strength. Genius-level IQs, trained from birth on military strategy, and completely without empathy for the enemy, or each other. Within a matter of months, the Luyten threat is neutralized. Humanity's Doomsday Clock finally stops ticking down, and there is some hope on the horizon. But now that the outside threat is gone, there's a new problem to deal with. The problem is the Defenders. Humanity has burdened itself with a race of sociopaths who are bigger, stronger and faster than humans. Now that the war is over, they don't have anything to do. And idle hands are the Devil's playground. 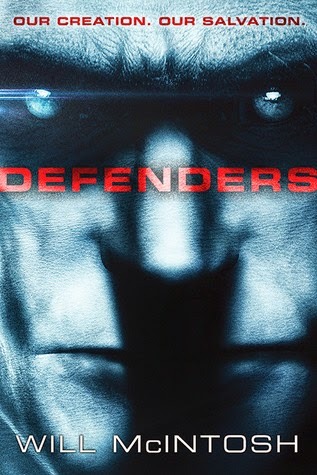 Told from many points of view - from a 'traitor' who helps a Luyten survive in the rubble of a city, to one of the scientists working in the labs that created the Defenders - this is a story of an ongoing apocalypse. Just as one threat to humanity is defeated, another emerges. Humanity will have to make alliances it never thought possible and betray its own creation in order to survive. Will McIntosh shows his deep understanding of the human psyche, both the thoughts of the individual and those of the masses. Any book with telepathic main characters would be a challenge, but with the fractured minds of the Defenders added to the mix, the book becomes a minefield. McIntosh masterfully creates both a race that is interdependent on the emotions of its group, and a race who has no concept of these feelings at all. The contrast throughout is fascinating and addictive. Defenders is a can't-miss for fans of near-future science fiction as well as the growing fan bas base of post-apocalyptic tales. Highs: The way that each Defender is eerily similar, yet has separate personalities, is striking. Lows: There were mistakes made by the world governments, over and over, that made me want to scream at the book. Verdict: A masterful piece of science fiction that should have wide appeal. Some people have a knack for things. Perhaps the letters of her Scrabble bag spell out the future. Maybe they can hop on their bike and find whatever it is they're looking for, whether they know exactly what they're looking for or not. Or their car drives them to Christmasland. 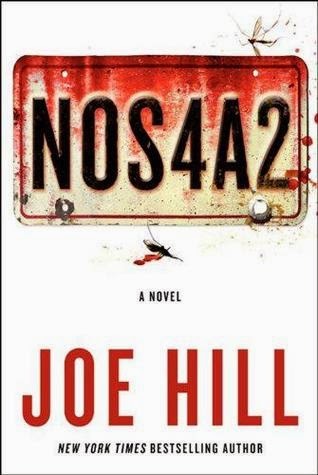 In Joe Hill's NOS4A2, some objects can help their users open rifts in the universe. Victoria McQueen, also known as Vic - or simply The Brat - discovers this when she gets her Tuff Burner for her eighth birthday. As she rides away from her parents' fight, a bridge that has collapsed years ago appears before her. On the other side, she finds the bracelet that her parents are fighting over - and a piercing headache unlike anything she's ever experienced. Over the years, her Tuff Burner and her Shorter Way Bridge help her other lost things, too. A cat, left for dead on the side of the road. A plush penguin. Trouble. Trouble in the form of Charlie Manx. Once, long ago, Charlie might have thought he was doing good. In fact, even now, he believes that the children he 'rescues' are being given everything they could ever want. They get to live in a land where it's always Christmas. Where they wake every morning to presents and songs and games. Where the evil parents in their lives will never hurt them again. Never mind that their teeth are replaced with row upon row of hooks, like a shark. Or the games that they play with knives and scissors and lynching trees. Never mind the mothers that become the playthings of the Gas Mask Man for no reason other than that they were trying to protect their sons and daughters from the man in the Rolls Royce Wraith. As a teenager looking for trouble, her bike led her into the path of old Charlie Manx. That encounter ended with Manx behind bars, a conveniently untrue story about being kidnapped by him, and riding off to safety on the back of Lou Carmody's motorcycle. But now Charlie has escaped the jail hospital. He's found his Wraith, all fixed up for him by an amateur mechanic. He has his Gas Mask Man, who only needs to rescue one more kid before he can go to Christmasland himself. And he has his sights set on Vic's son. Now Vic is in a race against time. His old Tuff Burner is long gone, but she's picked up a talent for motorcycles, having married Lou in the intervening years. She's going to have to hold herself together - through police investigations and her own mental illness - long enough to put Manx in the ground once and for all. Before her son turns into one of the damaged children of Christmasland. As with his comic book series Locke and Key, Hill tells a wonderfully creepy horror story with touches of magic and the supernatural. Everyone's actions have consequences, and using their reality-bending talents leaves everyone involved broken in one way or another. In showing us these shattered individuals, the truly good people in the story shine like beacons of hope, and the reader can only hope that they get to the end unscathed. Highs: The side characters, like Maggie and Lou, steal the show. Lows: The very last chapter 'Come All Ye Faithful' wrapped things up just a little too prettily for me. Verdict: Despite a slightly weak ending, NOS4A2 is the type of creepy psychological horror full of damaged people and terrible magic that one would expect from the son of Stephen King. The growing popularity of the ebook has created a renaissance in the short story market. once relegated to transient magazines and intimidating best-of anthologies, now anyone can create a Kindle Single and release their tale as an inexpensive tidbit for the general population. Another bonus of the new publishing industry is the freedom it gives authors to revisit past worlds. While an author may consider a series complete, she might still have a few scenes that never made it into a book, or a bit of backstory that could be told, but these bits and bobs aren't enough to warrant a novel. Instead of being lost to a few pages in an anthology, or never seeing the light of day at all, authors now have the ability to put these treats online for their fans to enjoy. And such is the case with Gail Carriger's The Curious Case of the Werewolf that Wasn't, the Mummy That Was, and the Cat in the Jar. 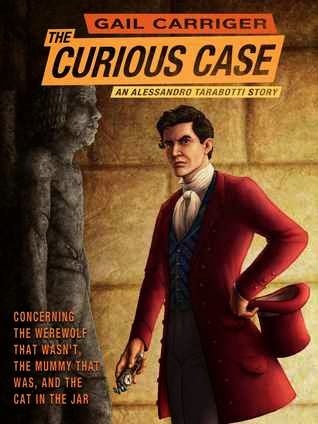 Note: The Curious Case... is part of the Parasol Protectorate series. As it's a prequel, it shouldn't have any spoilers for the series itself, but it might not make much sense without the rest of the series. Check out the review for Soulless here. Otherwise, read on! A mother's love can be...difficult at best. Dragons have a certain image to uphold. Vicious, ruthless and driven, they can be found both as leaders of corporations and heads of underground organizations. Predators by nature, and clannish as well, being born a dragon is a dangerous, competitive situation. In Rachel Aaron's Nice Dragons Finish Last, Julius has a problem. As the youngest and smallest Heartstriker, he's constantly surrounded by stronger, more powerful siblings. As a result, he's become very, very good at being unassuming. Since getting in the way of his family would more than likely make his remaining time on Earth rather unpleasant he simply stays out of their way, mostly playing video games in his room. Such passive behavior is NOT what his mother has in mind. As the second most powerful Draconic clan - and certainly the largest - such a blemish on her reputation simply cannot be tolerated. She'd much rather simply order his death by one of her enforcers, but she's nothing if not fair, and that means giving him a chance to redeem himself. And this is how Julian has found himself kicked out of the clan house with just the shirt on his back. He's told that has until the end of the month to earn his way back into the clan, or else he'll be permanently exiled - or worse. But that's just too easy for a Heartstriker, so his mother Bethesda turns it up to hard mode. If he wants to live as a stupid weak human, she's more than happy to oblige. She's sealed away his magic, leaving him to earn his way back into her good graces with none of the benefits of dragon-hood. Even though he can't access the benefits of being a dragon, the threats are still all too real. He's been dropped off in the Detroit Free Zone. When magic re-entered the world, the spirit of Lake St Clare Algonquin flooded the old city of Detroit, and claimed the area as her own. On top of the ruins, a shining city has been built, but dragons are expressly forbidden. So long with trying to make a name for himself, he can't make so much of a name that Algonquin or her guards notice. As ruthless as his siblings can be, they still try to help each other out. Ian, one of Julius' older brothers, has a mission for him. He's been dating a dragoness named Svena, a daughter of the Heartstriker's rivals, the Three Sisters. Svena's youngest sister Katya has run away from home again, and she needs someone to retrieve her. He's the only dragon who is unassuming and non-threatening to get within a mile of Katya, and all he needs to do is get a bracelet with a binding spell on her. Of course, a soft-hearted guy like Julius couldn't just take an easy job and do it. As the job progresses, he starts to wonder why Katya wants to escape her family so badly. He knows how bad it can be to be the outcast in a clan, and perhaps he has more in common with Katya than anyone realizes. Along the way, he also runs into a mage name Marci, who might actually be in more trouble than he is. But with his powers locked away, he needs all the help he can get. And for a human, Marci is a heck of a lot of fun. Rachel Aaron, who also writes under the name Rachel Bach, is a master of fiction that draws you and and just won't let go. Her books keep you in 'just one more chapter' mode, and before you know it, your alarm clock is going off. Well plotted, thoroughly thought out and carefully edited, Aaron's first foray into self-publishing shows none of the problems that plague the budding industry. 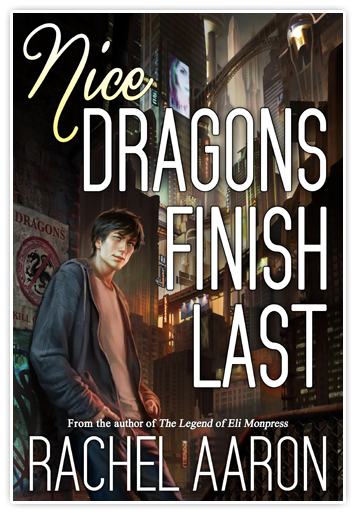 Nice Dragons Finish Last is an addictive, immensely enjoyable read that, as is the case with all of Aaron's works, leaves that reader eagerly anticipating the next story. Highs: Any chapter with Bob, the clan's Seer, ends up being a fantastic mix of comic relief and dangerous prophecy. Lows: Hopefully, we'll get more details into the history of the Dragon clans, and the re-emergence of magic, in later books. Verdict: A must-read for fans of urban fantasy, and a strong suggestion for readers of New Adult and general Fantasy as well.